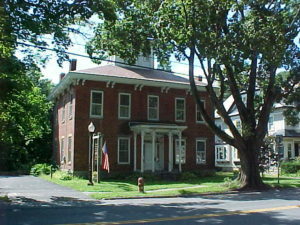 The Fort Edward Historical Association is housed at the Old Fort House Museum on Lower Broadway in Fort Edward, NY. It is a non-profit association that has been chartered by the New York State Board of Regents since 1927. Its collection includes approximately 200,000 artifacts from Fort Edward and the surrounding region. Researchers, students, tour groups and the general public have access to the association’s resources on a regular basis throughout the year or by appointment. across the road from the Old Fort House Museum at 22 Broadway. The building is a former Champlain Canal office that was deeded to the Historical Association in 1978 by the state of New York. The Research Center is currently only open by appointment. 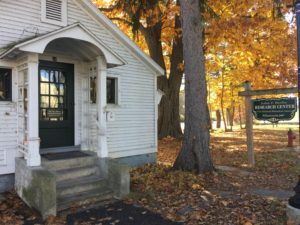 The Fort Edward Art Center is home to the photographic archives. Located in the heart of the village at 83 Broadway, the Art Center is open by appointment. We have a variety of programming for students, both on and off-site. Click here to learn more out about education programs. Each year the historical association sponsors two different events to recognize achievements of community members. Click the links to learn more about our Spring Art Show and the Riverside School Bell Awards.